Vopak Terminal handles chemicals, petroleum, animal fats and vegetable oils. Products are transferred by tanker, barge, rail, and truck. The 75 tanks can hold over 66 million gallons of fluids. 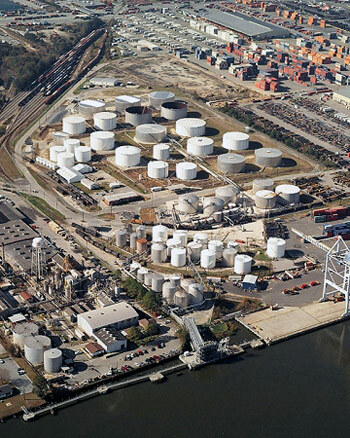 Vopak specializes in liquid bulk logistics with terminals in Deer Park, Wilmington, Montreal, Hamilton, Long beach, Galena Park, Savannah, and Los Angeles.